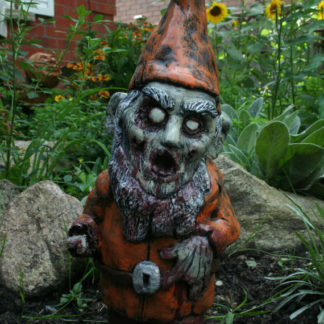 Known as a kind soul in life, he was a wise and gentle Gnome. 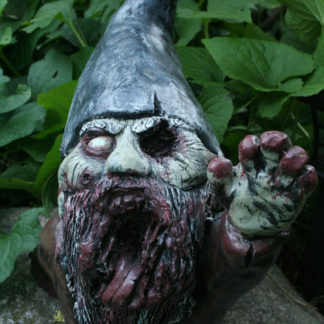 For many hundreds of years he was one of the most well respected and loved members of the Gnome community. Now he’s a vicious cannibal savage, in capable of thoughts, emotions or feelings. He’s now driven by his one and only need. And feed he does. 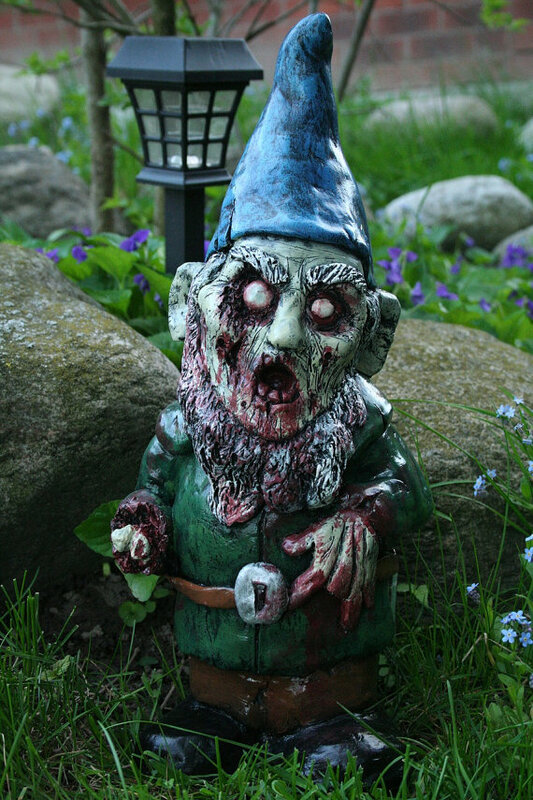 Consuming brains like a fiend with the munchies and chomping down Gnome flesh like Fried Chicken from the Colonel. Necroneckbeard is the face of the undead! He stands 14in tall, weighs 10lbs and is cast in solid gypsm cement. Hand-casted, hand-painted, hand-eating and handmade. 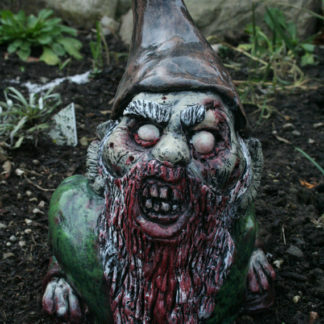 He will infect your household and garden like a plague. Each of these mythical walking corpses are sculpted meticulously in water/oil clay, casted in rock solid premium grade gypsum cement. Then hand-painted to bring out all of their ghoulish detail (and to ensure that no two are exactly the same). Lastly, they are each coated in a high gloss outdoor sealer to prevent any further decay and to help these carnivorous cadavers withstand the elements in their continuous hunt for human flesh.